Matt and Erin’s wedding at The Middleburg Barn at Foxchase Farm was such a dream! 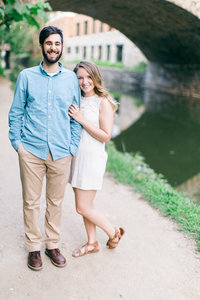 After meeting them to shoot their cozy in home engagement session, I knew their wedding was going to be pretty incredible. With stunning fall colored floral details from Stem and Thistle and pops of apples as an ode to where Erin grew up, every part of their day was so fun to shoot! I’m also such a sucker for a joyful, teary eyed first look. Also, how many couples get to take photos with a horse?! Enjoy taking a peak into their wedding day with some favorite images! Congratulations to the newlyweds! !